The Independent Living Apartments at CMH allow residents the opportunity to maintain their independence in a home of their own, all while close to healthcare services. 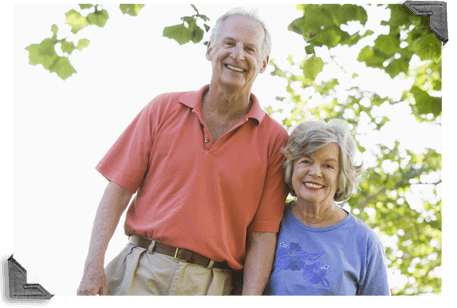 Independent Living Apartments are managed by the nearest skilled nursing facility. Independent Living Apartments are available in two floor plans: one-bedroom, one-bathroom; two-bedroom, two-bathroom. All apartments feature a full kitchen and living room and most apartments include a single-car garage and covered patio. Residents of Independent Living Apartments can expect to have access to daily activities with residents and staff of the nearest skilled nursing facility, as well as access to meals at the facility for a nominal fee. Independent Living Apartments are rented on a 12-month lease with 30 day termination clause. Pets and smoking are not allowed. Individuals with impairment may have a pet that is used for disability purposes. The monthly rental fee includes 24/7 monitoring system and the following utilities; sewer, water, trash and electric. It is the responsibility of each Independent Living Apartment resident to pay their cable, phone and Internet connection bills. Triplex style apartment living is available in two options: one-bedroom, one-bathroom; and two-bedroom, two-bathroom floor plans. Both floor plans include a one-car garage and a covered patio. Triplex independent living is available on the campuses of Colonial Springs Healthcare Center, Community Springs Healthcare Facility and Parkview Health Care Facility. Duplex-style apartment living is available in a two-bedroom, two-bathroom floor plan. This floor plan also includes a covered patio and a one-car garage. Duplex-style independent living is available on the campuses of Ash Grove Healthcare Facility and Parkview Health Care Facility.